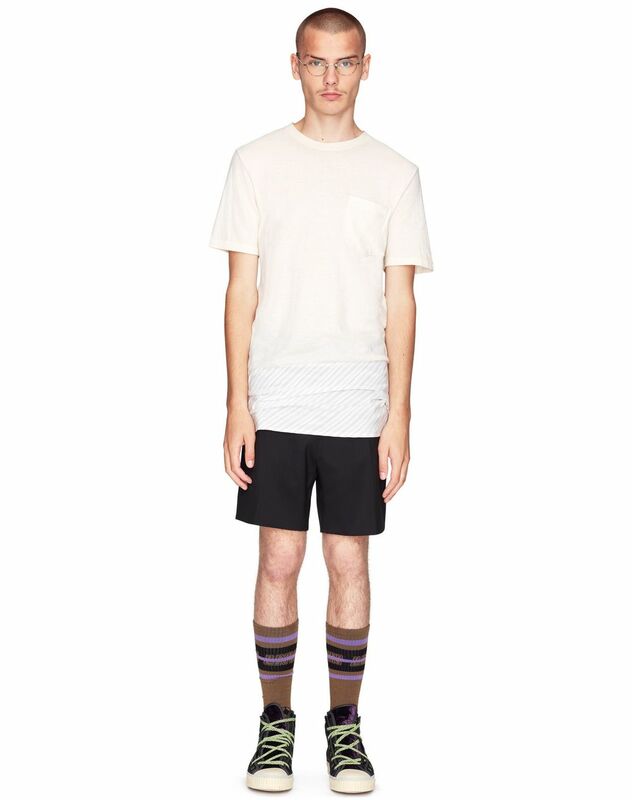 Short-sleeved T-shirt in ecru cotton jersey, ribbed inset in contrasting striped fabric, chest pocket, and crew neck. 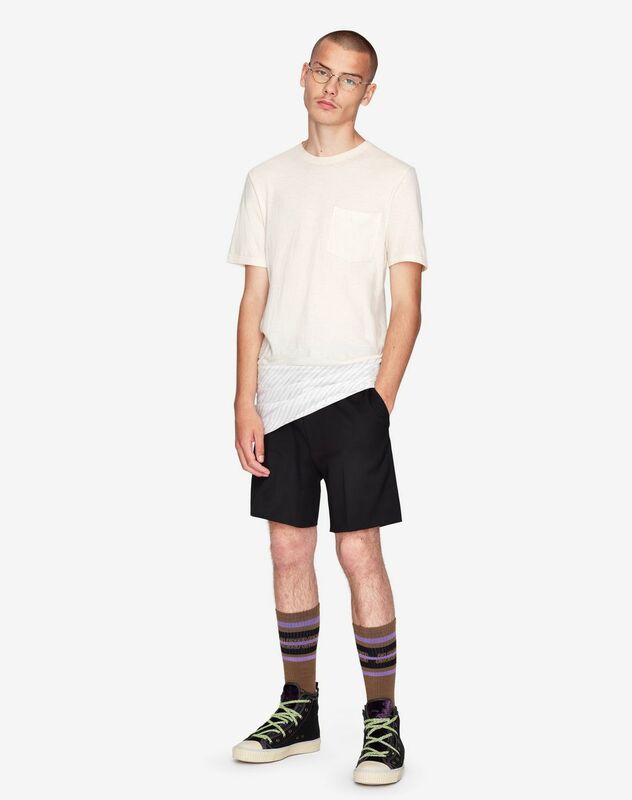 This ecru cotton jersey T-shirt stands out for its structured design and mix of materials, two key elements from the Spring/Summer 2019 Collection. 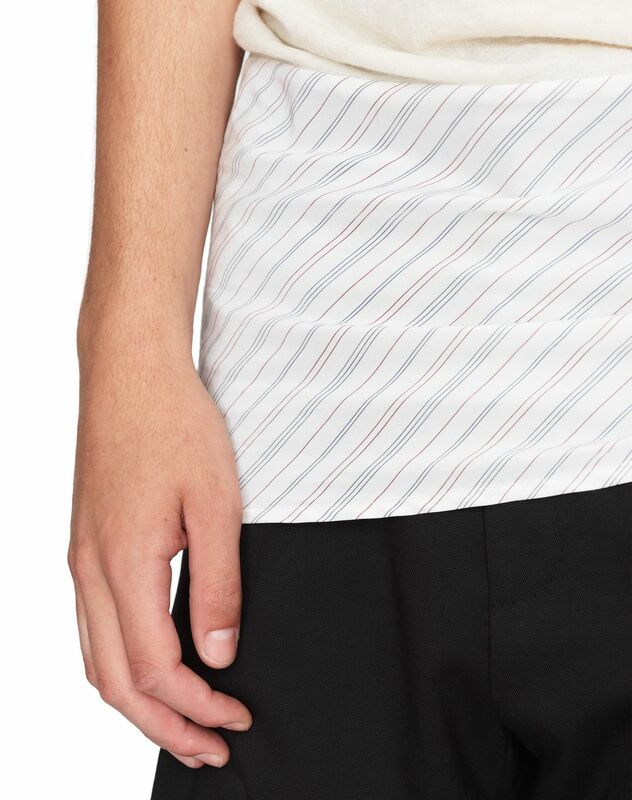 The ribbed inset features thin, elegant stripes and provides this original piece with contemporary style. 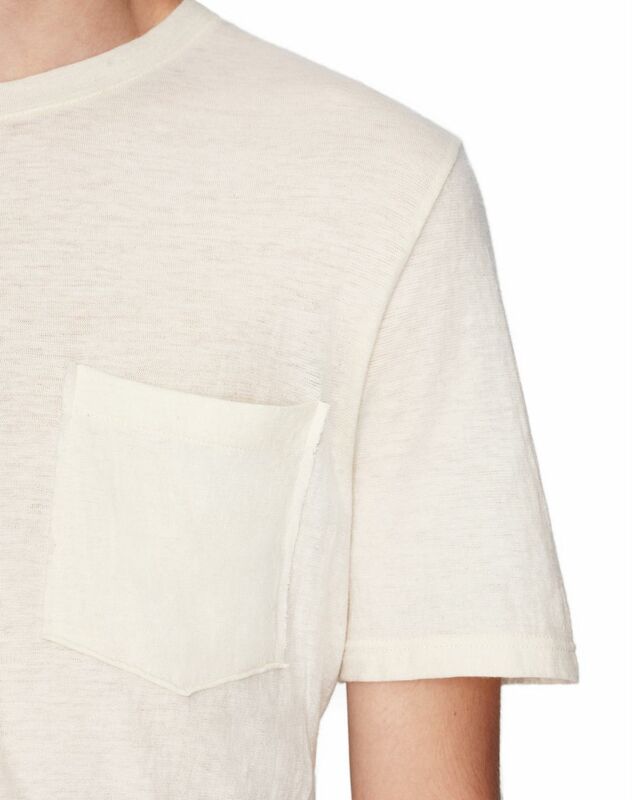 Comfortable and lightweight, this T-shirt can be worn alone or as part of a layered look. 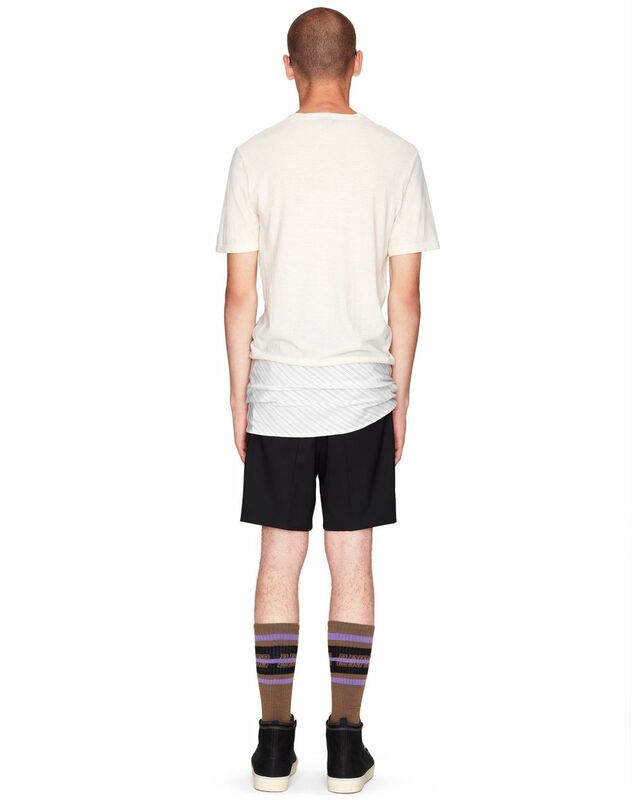 Main materials: 70% cotton knit, 30% wool knit. Secondary materials: 68% cotton weave, 32% silk weave. Model's measurements: Height: 6’ 0” Chest: 34” Waist: 29.9” Hips: 35” Model wears a size S. Made in Italy.